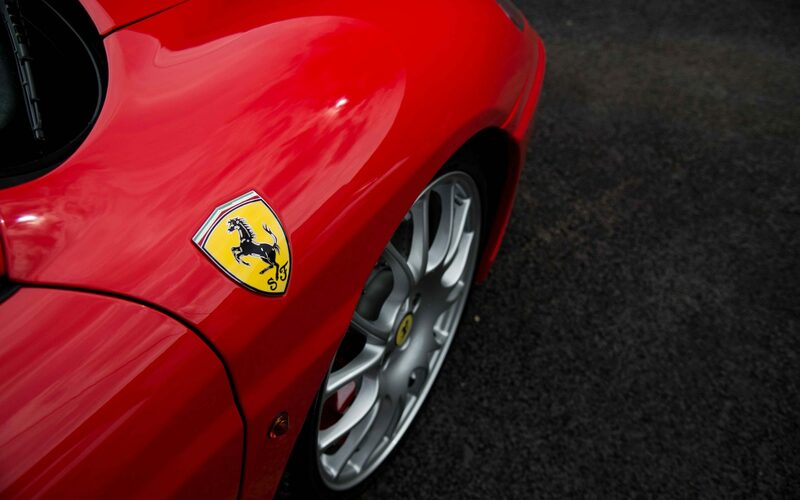 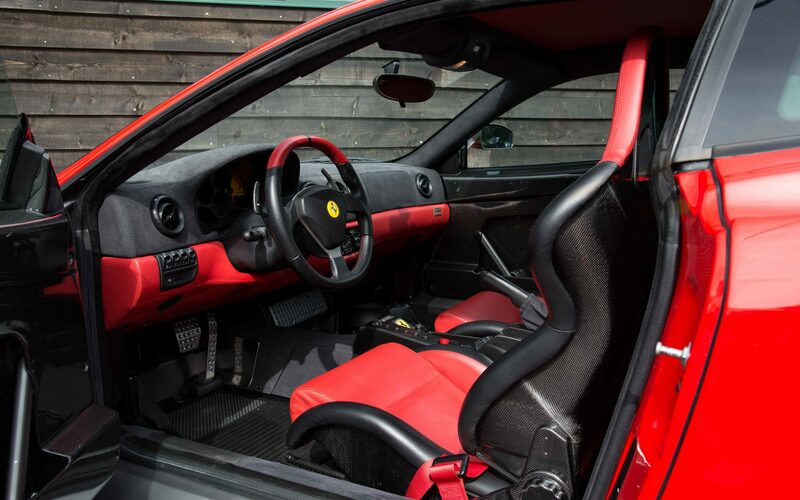 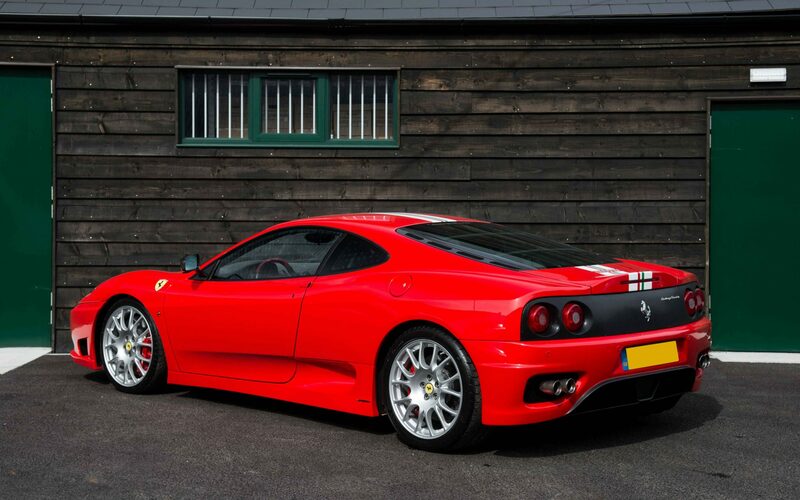 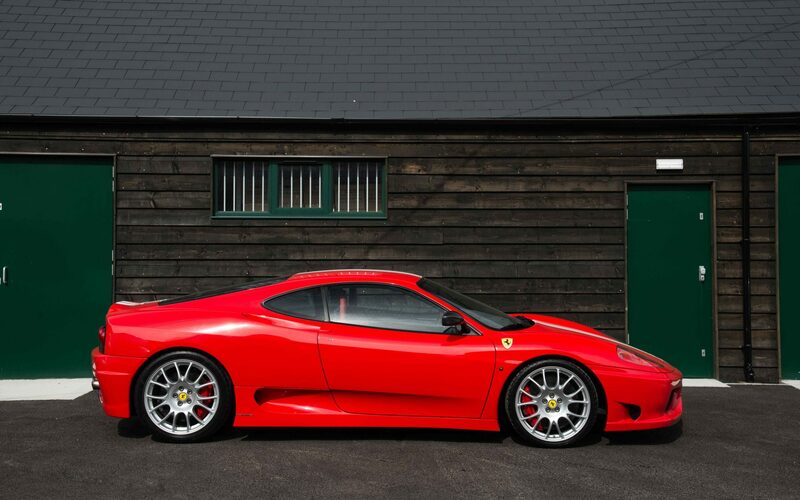 The Ferrari 360 Challenge Stradale was introduced in 2003 as a lightweight and more focussed derivative of the 360 Modena, combining an increase of power with 110 KG worth of weight saving. 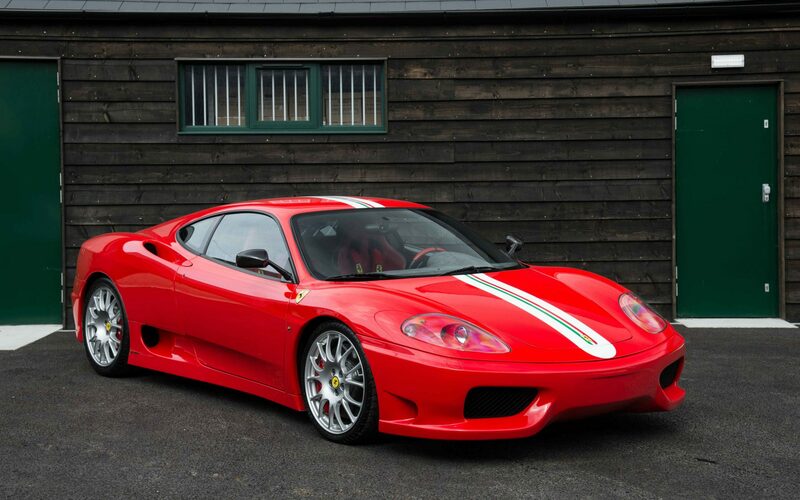 The mid-engine V8 of the 360 would now produce 425 bhp with weight-saving mainly achieved through increased usage of carbon fibre and the removal of interior comforts such as floor mats and door cards. 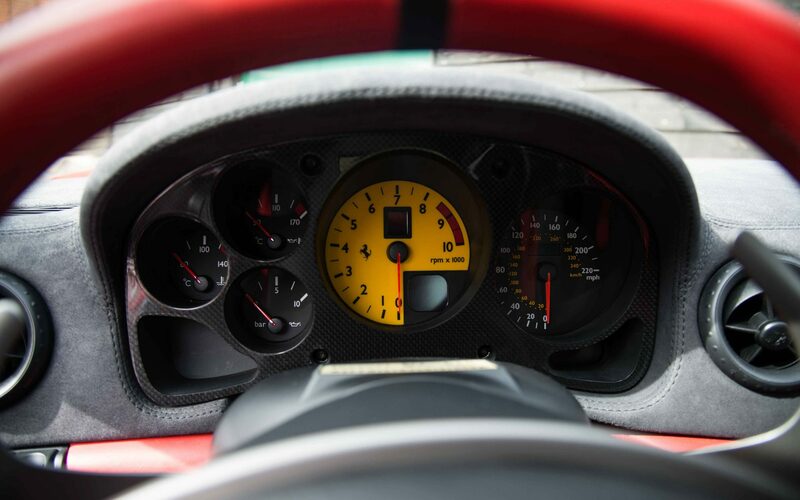 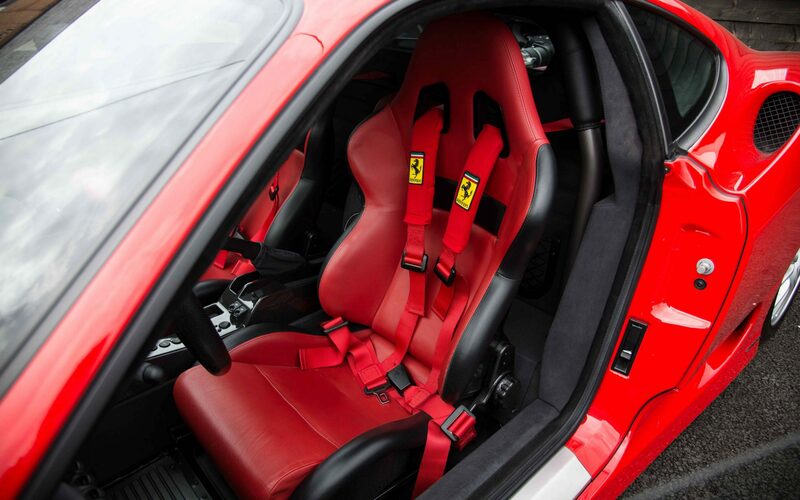 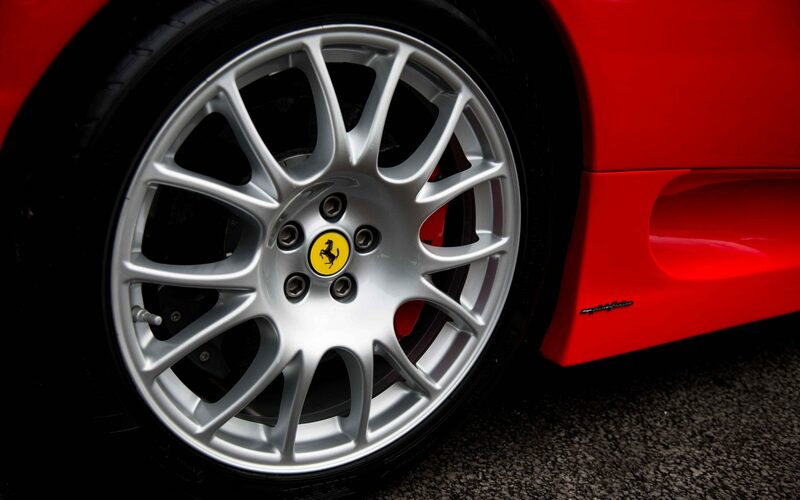 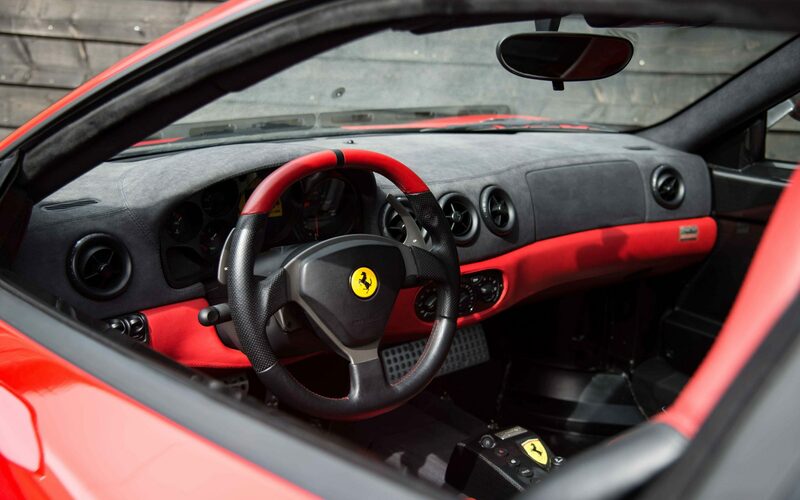 Further performance advantages came through a significant upgrade of the F1 gearbox software and the standard fitment of carbon ceramic brakes from the Ferrari Enzo. 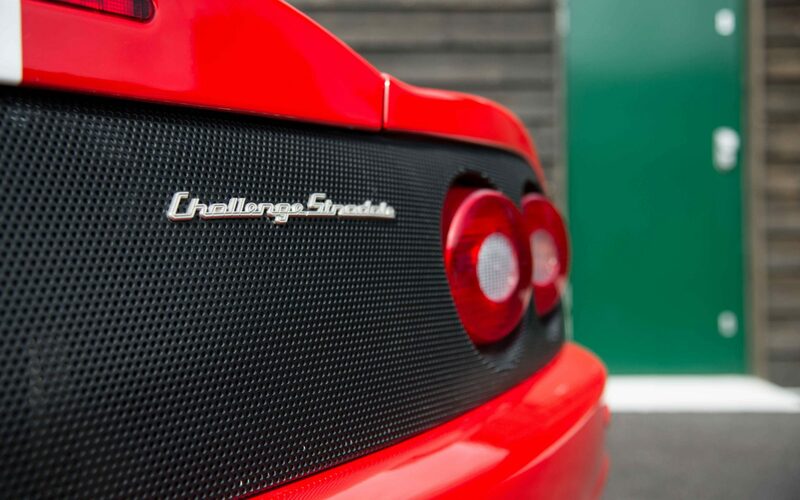 The Challenge Stradale was produced in extremely limited numbers in 2003-2004 making it the most exclusive of the lightweight Ferrari V8s. 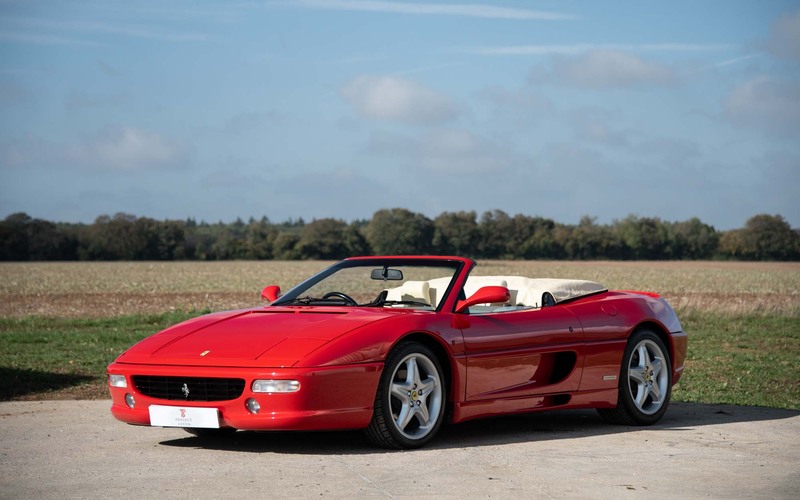 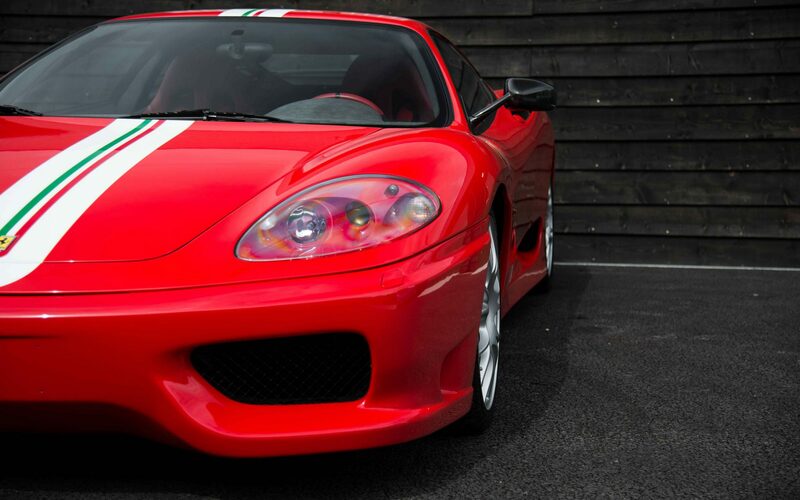 In addition to the 3.5 second lap-time improvement over the 360 Modena, the 360 CS enjoyed a significant acoustic improvement and to this day is widely regarded as one of the greatest sounding Ferraris ever produced. 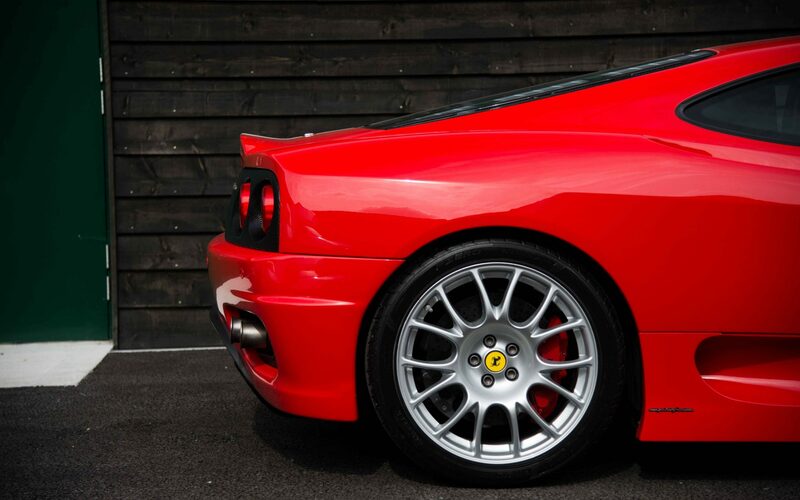 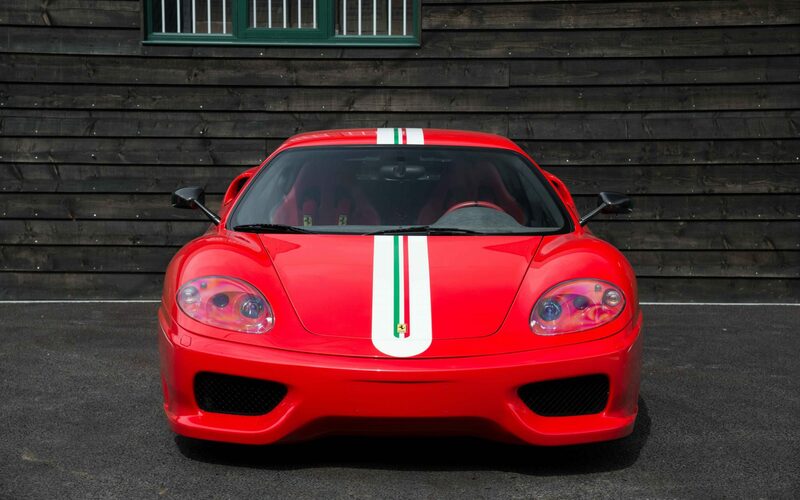 Supplied new to Italy in 2004, our 360 Challenge Stradale is one of the very best examples available today in terms of specification, provenance and condition. 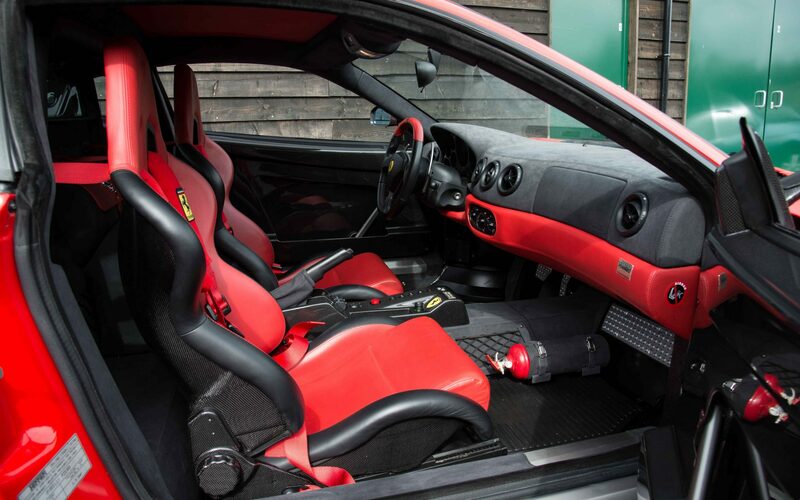 Finished in Rosso Scuderia over Rosso and Nero leather interior, this 360 CS was supplied new with the all-important factory tricolore stripe and other options such as two-tone steering wheel, 4-point racing harness, leather-trimmed roll bar, rosso calipers, scuderia shields, giallo odometer and floor-mounted fire extinguisher. 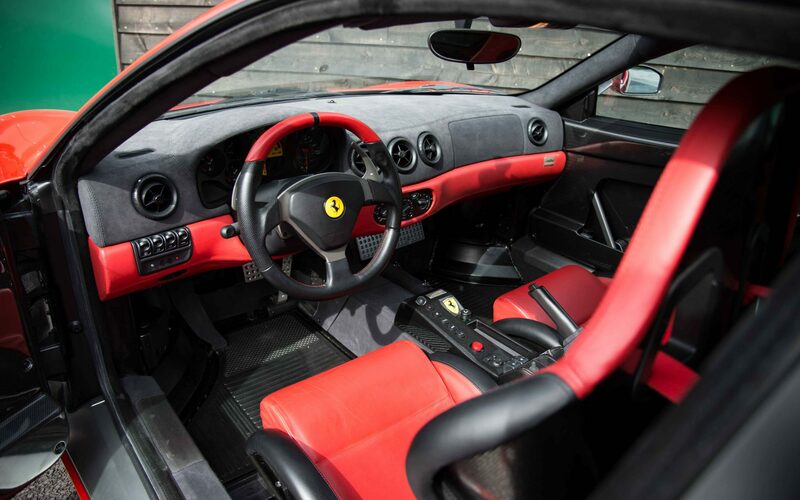 Enjoying regular maintenance in its native Italy as can be seen in its original service book, this 360 CS came to the UK in 2014 and was UK registered at this point. 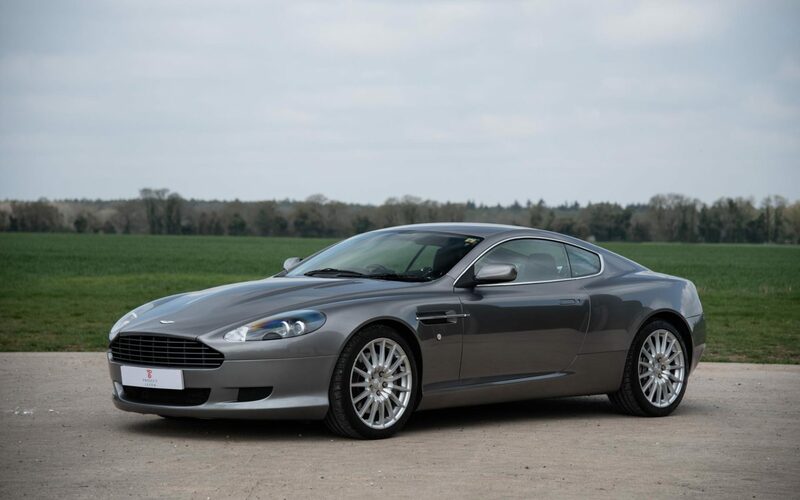 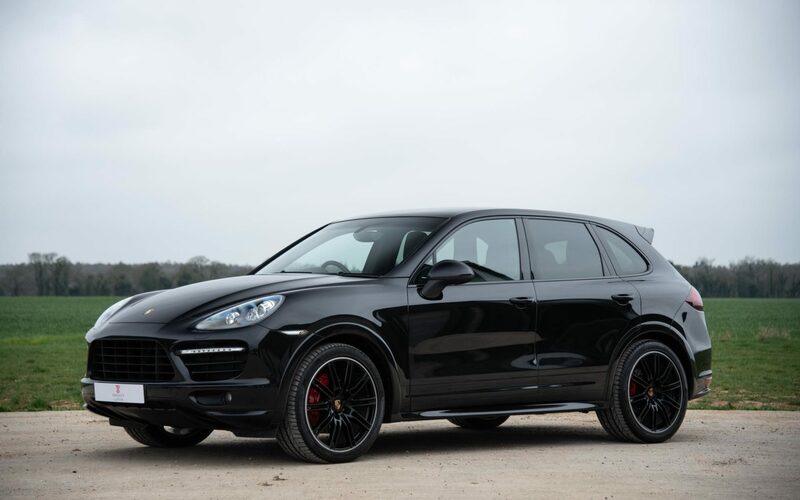 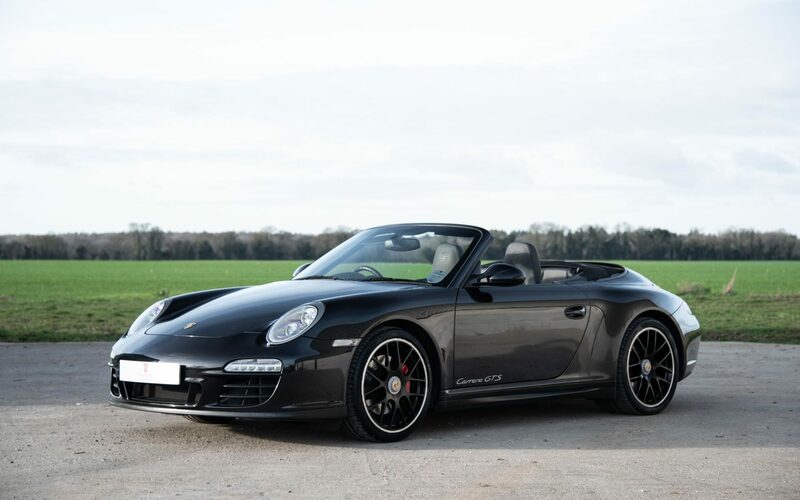 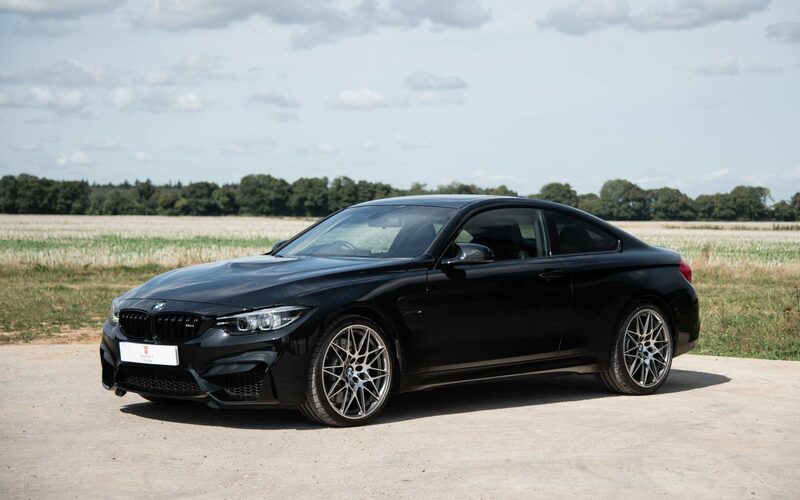 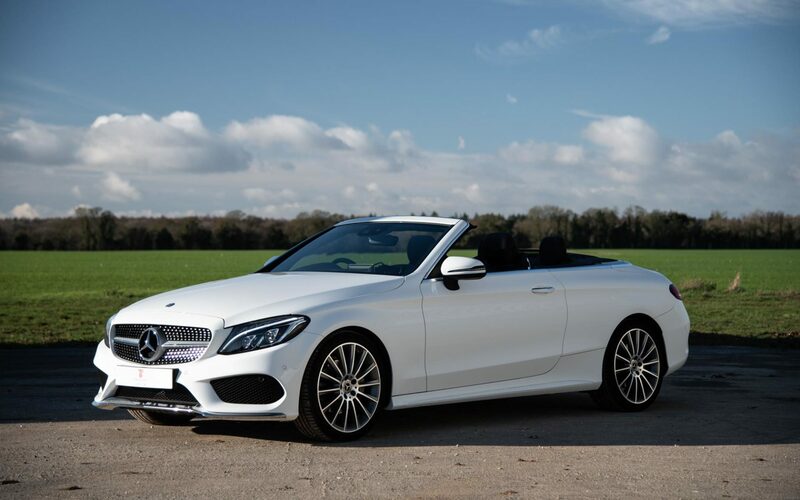 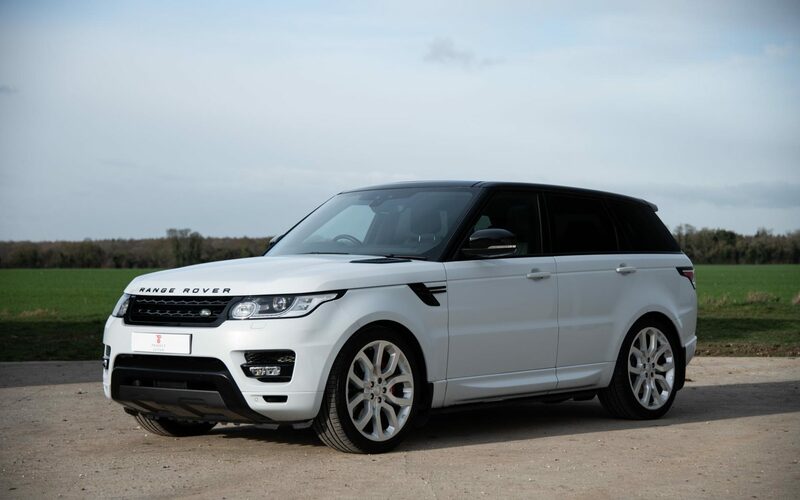 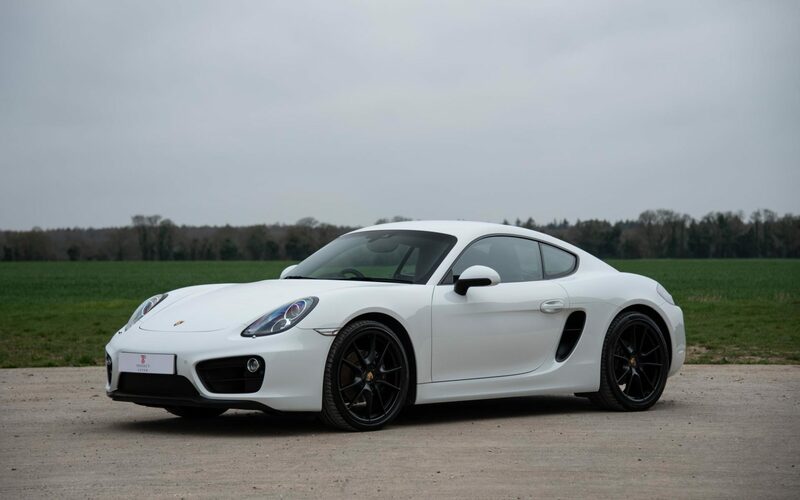 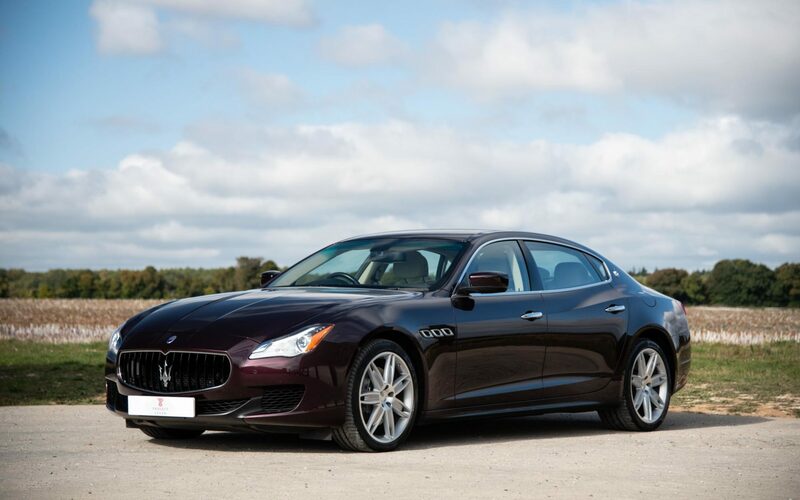 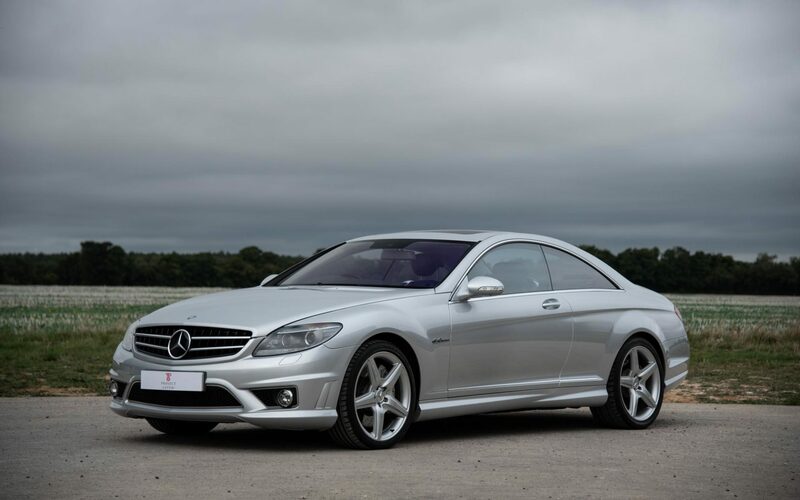 Having covered just 14,250 KM, (8,855 miles) the condition of the car reflects its minimal mileage and is one of the nicest examples we have dealt with. 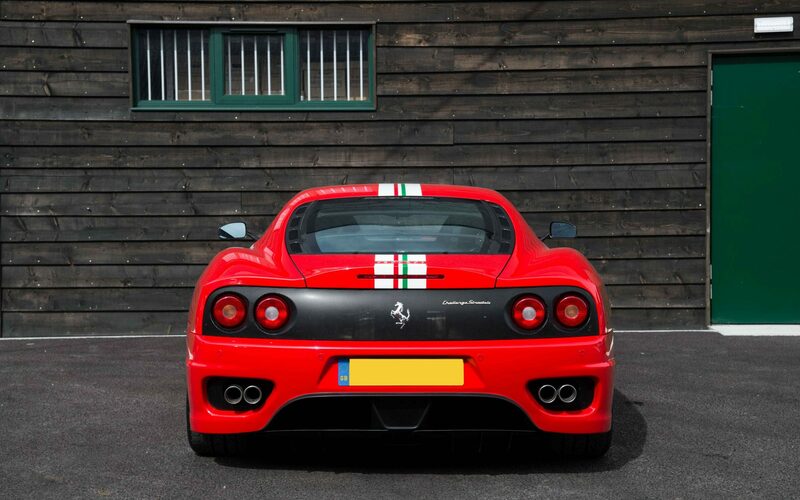 No true Ferrari collection is complete without the addition of a 360 Challenge Stradale; to this day the most intoxicating mid-engine V8 to leave Maranello.